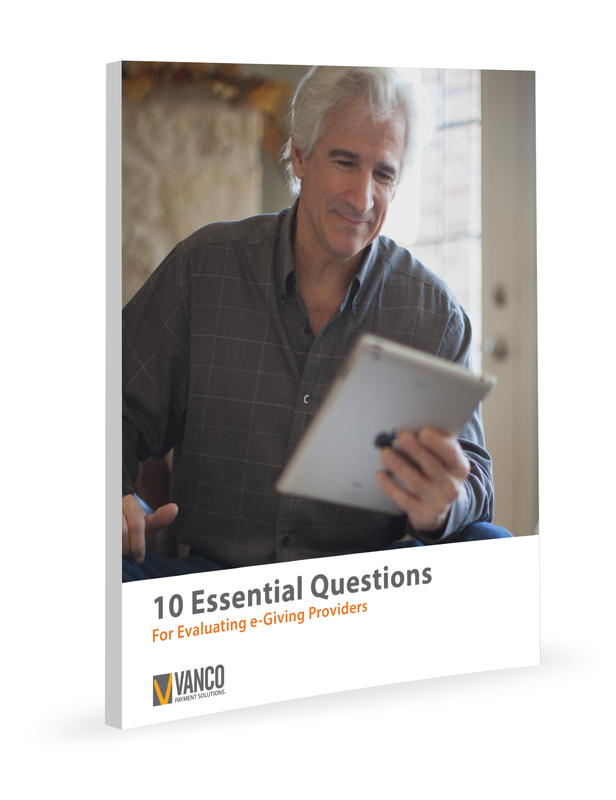 Download the top 10 questions you must ask — and the answers to listen for — when evaluating different electronic giving providers. 1. Does money move securely? 2. Does money move quickly? 3. Is the contract flexible and pricing straightforward (no strings attached)?